PE5 - Green Day: Grenade Studs in Pendants, Buttons & Patches is made for Women and Men and comes in Pewter and is made of Pewter material. It is marked as Badges and weighs about 1.00 lb. The Grenade logo as featured on the cover of Green Days 2004 album American Idiot. 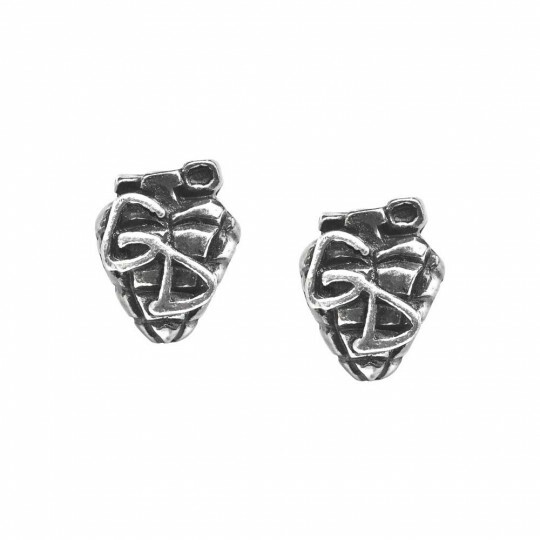 A pair of 3D sculpted, English pewter, stud earrings based on the Green Day Grenade logo.